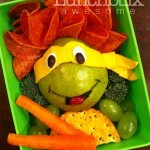 Yesterday, I posted a really awesome boxed lunch that was made to look like one of the Teenage Mutant Ninja Turtles. 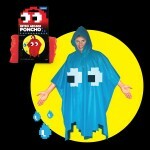 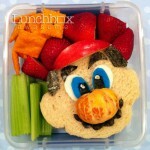 Well, from the same Lunchbox Awesome blog comes this fantastic Pac-Man lunch! 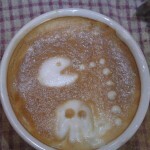 This delicious looking Pac-Man lunch represents everything about Pac-Man here from a ghost to the dots and even Pac-Man himself! 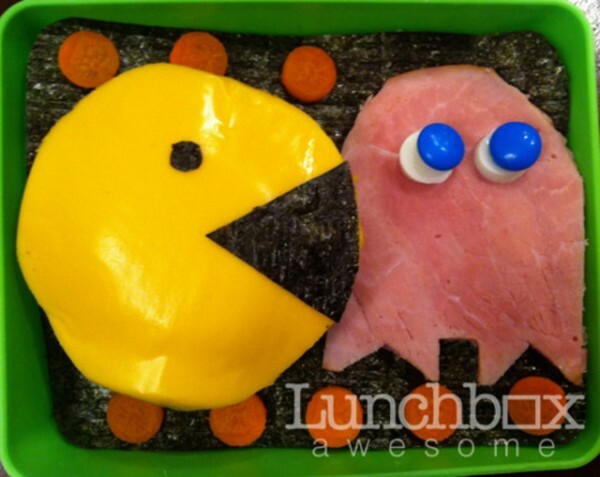 I’ve seen some sites refer to these lunchbox creations as a bento box but a traditional bento box consists of rice, fish or meat, and one or more pickled or cooked vegetables so I am hesitant to call this a Pac-Man bento box. 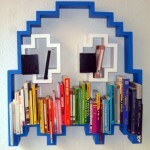 Do you think this awesome Pac-Man lunch qualifies? Let us know in the comments!